Berikut ini adalah contoh soal UAS Bahasa Inggris kelas 6 semester 1 terbaru tahun ajaran 2018/2019. Soal sudah dilengkapi dengan kunci jawaban. Semoga soal UAS Bahasa Inggris kelas 6 semester 1 ini dapat dijadikan referensi untuk belajar khususnya adik-adik kelas 6 guna persiapan diri menghadapi Ulangan Akhir Semester 1.
five people in my family. We live in a big house. There is a big garage in my house. There is a car in the garage. That is my father's car. That is his car. There is also a motorcycle. The motorcycle is my mother's. That is her motorcycle. There are three bicycles in the garage. They belong to me, my brother, and my sister. They are our bicycles. The bicyces are ours. We ride our bicycles to school. 2. Whom does Yolanda live with? 3. What are there in Yolanda's garage? 4. Whom does the car belong to? 5. Whom does the motorcycle belong to? 1. A: .... is your house?" 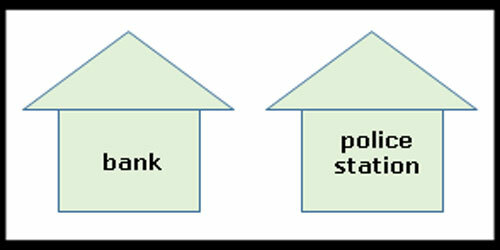 B: "Go straight, ahead then turn left "
The bank is .... the police station. 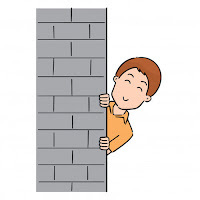 Arman is .... the wall. 6. A: "Whose bag is that?" B : It .... fifty five thousand rupiahs. 11. .... The baby is sleeping. Susi : "Where do you want to go?" Meila : I want to go to the fruit stall." Susi : "What do you want to buy there?" Meila : I want to buy apples there." 14. My brother has a .... nose. 15. The salt is 5 kg. The sugar is 3 kg. The salt is .... than the sugar. Silvi : “That is Irma’s pencil case. The pencil case is hers”. 25. I have a new eraser. 26. Once upon time, .... a good hero. 29. Majapahit was a... long time ago. 1. Does Nina like to go shopping? 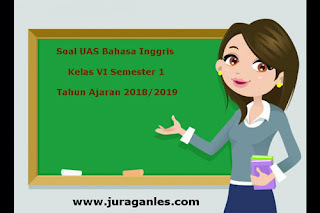 Itulah Soal UAS Bahasa Inggris Kelas 6 Semester 1 Terbaru Tahun Ajaran 2018/2019 yang bisa saya bagikan. Semoga bermanfaat.